Making infused vinegar is a simple and fun process. Also, it gives you a product, suited to your palate, that lends a flavor blast to your favorite dishes! Furthermore, as Spring and Summer start upon us, DIY infused vinegar is a wonderful way to capture the flavors of the seasons and keep them year-round. Infused vinegar is so easy to make and great to use in the kitchen or give as gifts. And, if you enjoy the flavored vinegar you can buy from the specialty oil and vinegar stores, you will find that making your own infused vinegar is so much more cost effective, and you can make nearly any flavor you like! To begin with, the best type to use for infused vinegar is light flavored vinegar. Straight, white vinegar isn’t the best choice because of its strong flavor. Also, tasting different types of vinegar is essential. Doing so helps to ensure you end up with the best flavor for your palate and your infusion. White wine vinegar: is a cost-effective vinegar with a light flavor that is best for savory applications. White balsamic vinegar: will be sweeter than white wine vinegar and is wonderful to use with fruits or for a sweeter flavored vinegar. Champagne vinegar: while a more expensive vinegar will add a unique, light flavor. Taste it before using to see how you think it will complement your desired flavors. Balsamic vinegar: this dark vinegar will overpower lighter flavors, but is great for stronger, sweet flavors. Again, the vinegar you start with becomes a part of your finished product. So make sure you like the flavor and think the flavoring agents will complement it well. 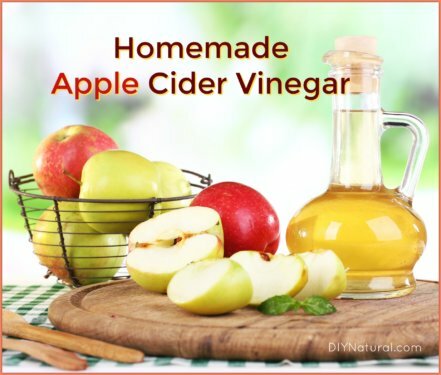 Tip: if you want to use ACV check out our article for learning how to make apple cider vinegar. Best to start with the best! Another cool thing about infused vinegar, it’s a simple process with very little hands-on time. Start by adding your flavoring ingredients and vinegar to a glass jar, using 1 part infusing matter and 2 parts vinegar. Next, cover with a non-reactive lid and store out of direct sunlight. Then shake every couple of days for 2-4 weeks. Finally, taste and strain your vinegar when the flavor is the way you like it. Some recipes have you lightly heat your vinegar or vinegar and infusing materials before placing in the jar. While this does speed up the infusing process slightly, but if you heat your vinegar to boiling, you risk reducing some of the acidic punch of the vinegar itself. So, in my recipe below, I don’t heat the vinegar. Because personally, I don’t mind waiting an extra week or so for the infused vinegar to reach a flavor that I like. Strained infused vinegar will last for 5-6 months, possibly even more if kept in a clean, sealed container. In truth, it is important to strain your vinegar very well, even through cheesecloth if you can. Doing so leaves you with little to no plant matter left in your jar. And the less plant matter you have, the longer your vinegar will last. Some people like to leave one of two sprigs of herbs in the jar as a decoration. 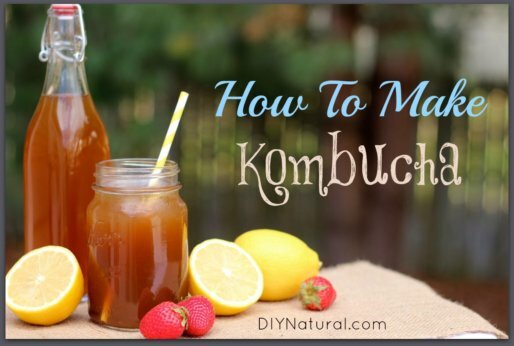 But, keep in mind that any material that is left in the jar will continue to infuse the vinegar and may change the flavor. For example, infusing with chile peppers and leaving some in the jar for decoration means your vinegar will continue to infuse and gain heat. You can use really any plant matter you like to infuse your vinegar. Herbs, spices, zest, chiles, etc. Here are some common flavoring ingredients. As you can see, your imagination is the limit when it comes to your infusing ingredients. Wash and dry your infusing materials. Place them in a glass jar. Pour your vinegar over the material and seal the jar with a non-corrosive lid. Steep for 2-4 weeks, shaking every couple of days. When the flavor is to your liking, strain the vinegar through cheesecloth to remove all plant matter. 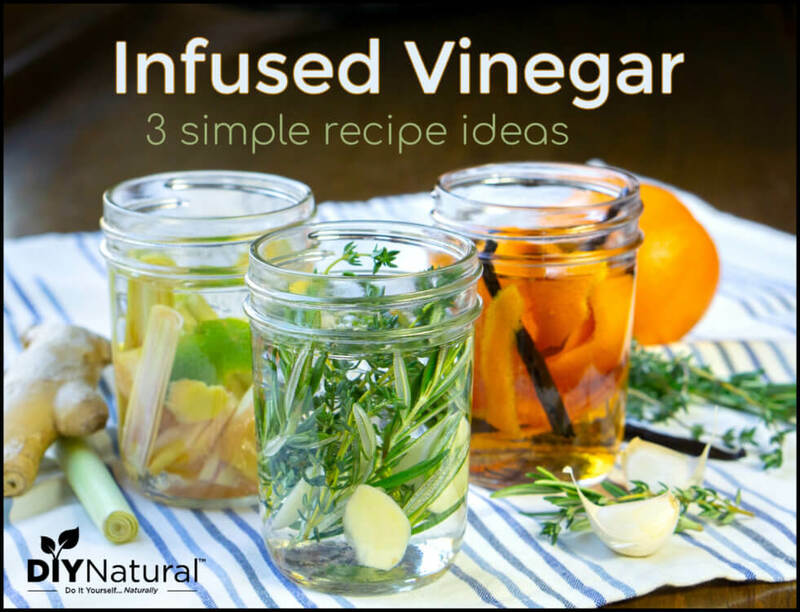 Store the infused vinegar in a clean jar for 5-6 months. Mention @diynatural or tag it #diynatural! In summary, making infused vinegar is cool for many reasons. First, you can create vinegar recipes that excite your palate. Second, it is a very simple and fun process. 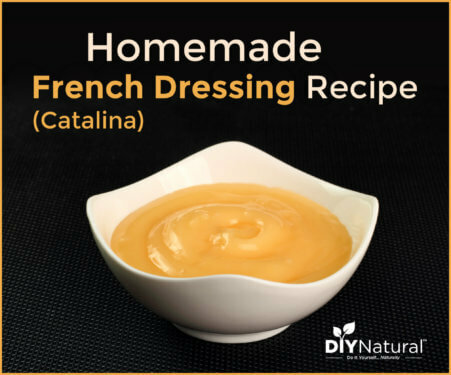 Lastly, you end up with a product that empowers you to add an explosion of flavor and bite to your favorite homemade dishes! What type are you planning to make?